You can purchase Birth Matters directly at Amazon or from your local bookseller. The list price is $16.95, though it's currently on sale at Amazon for $10.74 and eligible for free Super Saver Shipping. This is a joint giveaway with Hobo Mama Reviews and Natural Parents Network, a site bringing together those interested in attachment parenting and a natural lifestyle. You may do any bonus entries at one site only, and we'll be recording IP addresses to ensure there are no duplicate entries. That said, please do check out and enjoy both sites! Leave a relevant comment on my post on Hobo Mama about the Ina May presentation "Birth Works" and comment back here that you've done so. Leave a relevant comment on Amy's post on Anktangle about "Birth Works" and comment back here that you've done so. First entry! I love midwives because they trust women's bodies! They know that birth is a natural process and they are there to facilitate that natural process, not to interfere with needless interventions! liked hobo mama on facebook! following hobo mama on networked blogs! I love that my midwives took the time to sit down and talk with me. I also LOVED that they came to my house to do the first few post-natal visits! I commented on the post over at Hobo Mama. 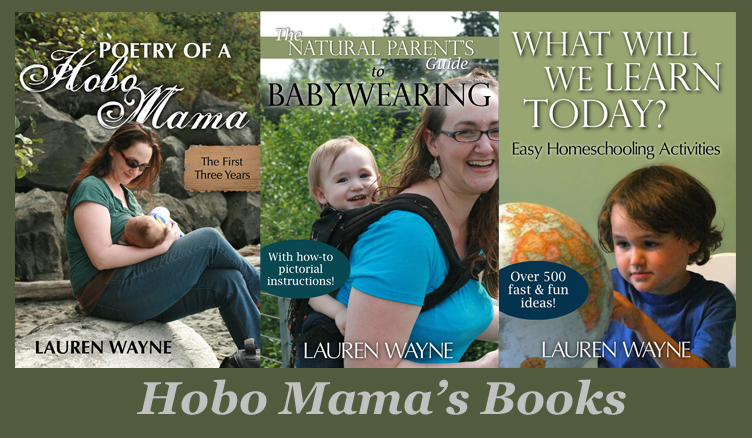 I subscribe to Hobo Mama via Google Reader! posted giveaway status with link! Like Hobo Mama on FB! My homebirth was made possible (and amazing) by my midwives Amanda and Jamie. They were so calm and that made me calm. They were so supportive and we just let my body do the work! I am so blessed by the experience-- and a healthy baby boy (now 9 months!) 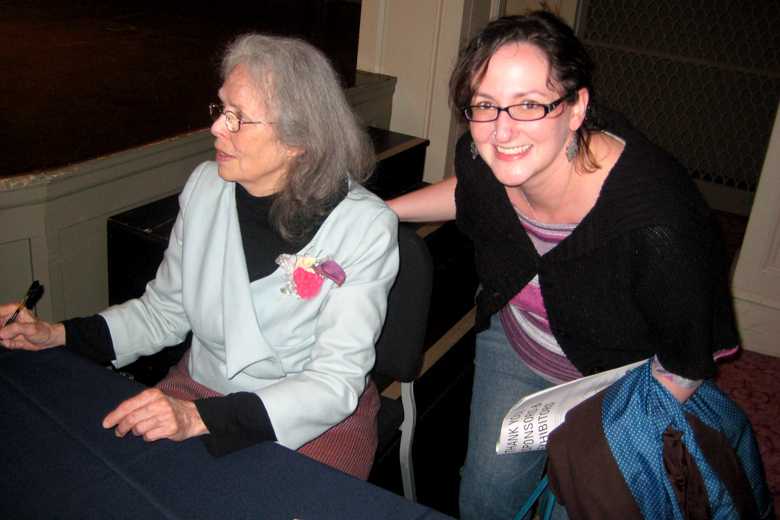 I love Ina May -- have her two Guides and would love this one! Her stories inspire and let us know that birth, just, is. you can read my copy with dirt on your hands if you let me win it. i love ina may so much. pick meeeeeee! I love the pictures from the conference! 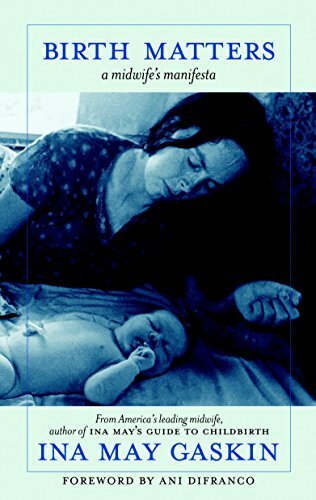 I too love the cover of this book... hopefully next time will be natural homebirth time for me, yay! What I love about midwives is that they LISTEN to both what the mother is saying and what her body is feeling. We need more OBs to have this approach, that women in labor are WOMEN and not just patients. Already "liked" Hobo Mama on fb! Already "liked" NPN on fb! NPN badge added to blog! Entered Who They Really Are giveaway at NPN! Added Hobo Mama badge to blog! can't believe you stood in the same room with ina may! Subscribed to Hobo Mama thru e-mail. i like even numbers and since the drawing will be done on june 6th, i'll end with entry #6! I love that midwives view birth as a normal event and not a medical emergency waiting to happen. @bishopstaci is following you on Twitter. I'm the proud mama of a 19-month-old boy who was born at home, with a midwife and a doula. The thing I love most about midwives is the time they invest in you! In this day and age of rushed medical appointments, it was a luxury and a joy to spend an hour or more at each midwife visit. Sometimes I had lots of questions or we had important things to discuss, sometimes we just talked. It was wonderful! I commented on the post on Hobo Mama. I "liked" Hobo Mama on Facebook. I love midwives because they're the only ones in our town who assist with water births. I attended an antenatal course and also hired the same trainers (who are experienced UK midwives) to do post natal visits to my home after the delivery of my 1st child as they really helped us a lot in understanding birth, breastfeeding and baby care. Until today (2 years on) I still kept in touch with them as I'm forever grateful to meet and to learn from them! I left a comment in your post on Ina May presentation. "What a breathtaking and moving video of the elephant giving birth! Thank you so much for sharing this post and I would really like to win that copy of the book!" Greetings from Malaysia! Followed you on Facebook! Okay so I have to say just ONE thing I love about midwives?! I love that midwives trust the mother's ability to bring her baby into the world and understand the most basics of mammals birthing their babies. They know that mothers need cool, quiet places where they feel protected and loved. They know that birth isn't just a physical event but an emotional and mental and spiritual journey! I follow Hobo Mama on GFC! Left a comment on your Ina May post on your other blog! I love midwives because they trust women's bodies! They are empowering and supportive during birth! I left a comment on your Ina May post! I like NPN on facebook too! I've never had a midwife, but I hope to with my next pregnancy. I like how midwives spend more time with moms, give them personalized care, and support the natural birthing process. left a comment on your Ina May post! What do I love about midwives - well EVERYTHING! The one on one care during my pregnancy was priceless. Midwives always take the time to answer your questions, explain anything, AND hold your hand! I just tweeted again! Thanks!! I love so many things about midwifes. Particularly that they spend countless, selfless hours assisting woman in one of the most powerful, life changing events mostly for the love of it. Midwives are special people sent to be our advocates and partners for us and our family during one of the most life changing events we experience. We empower women to have a choice in their birth process. I am thankful to be @CALLED2MIDWIFE on twitter sharing the ups and downs of being with women. I also love that they support birthing in whatever position is comfortable for the mother! I love midwives who listen & truly care about the women & families they work with. I love that midwives will exhaust the least invasive interventions before they resort to interventions that are more risky. I'm so grateful for the midwife that delivered my son! I swear she saved me from a c-section!!! Okay, last one, this is exhausting, lol. I added the Natparnet badge to my site. I love that there more friendly and actually care, unlike dr's who treat you like a number. One thing I love about midwives - No sitting on an uncomfy, intimating exam table for appointments! I follow @Hobo_Mama from @justpureness. I follow @NatParNet from @justpureness. I alreay follow Hobomama on FB. I love that my midwife really listened to my concerns, and didn't treat me like an idiot. I have tweeted this post. I love midwives beacuse they CARE . About babies, about women, about nature. 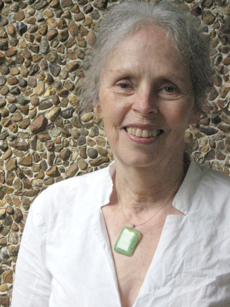 Ina mays books inspired me to become a midwife myself. I love midwives because they recognize that birth is (almost always) a natural event rather than a medical emergency.I love midwives because they understand that taking the time to know the mama and her family/support people is an important component to a healthy birth. I especially love my midwives for the peace and quiet they provided my husband and I while I was laboring; no lights, no intrusive sounds, no unnecessary examinations. I love midwives because they're the only ones that seem to remember that women were born to birth children. It's not an illness. I would love to win a copy of this book, Im due in Sept and am doing a HBAC so the more that I can read the better! Love your blog! I like the fact that they are more caring and give you personlize care and treat you like a human and not a number.